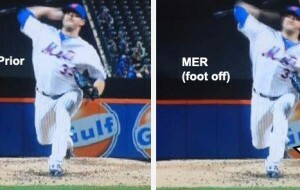 Matt Harvey has been insistent upon returning to a Major League mound at some point before the end of the 2014 season. Is that a realistic goal? Should he be prevented from doing so? Also, is it really dangerous for Jenrry Mejia to pitch from the bullpen? Are his concerns for his health as a reliever legitimate? According to sport kinesiologist Angel Borrelli, Harvey’s goal is completely realistic — so long as he’s feeling well, his rehab continues progressing positively, and there are no setbacks. She also outlines a general rehab schedule for returning to the mound, in a podcast interview you can hear below. Also in the podcast, the scientist discusses Jenrry Mejia’s concerns about pitching from the bullpen, as opposed to starting. Finally, she busts a myth recently propagated by Zack Greinke suggesting that the slider is a dangerous pitch. If the player above doesn’t appear in your browser, you can try listening on BlogTalkRadio. 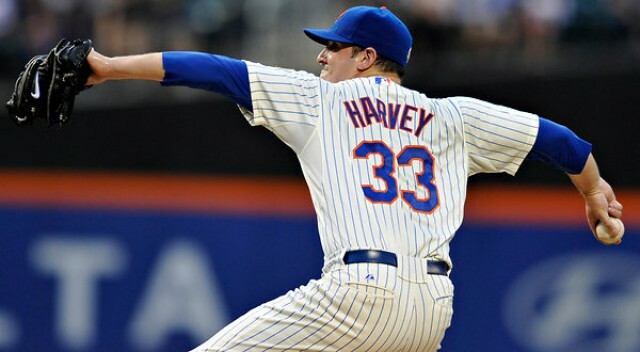 The real question is “will Harvey pitch for the Mets in 2018?” I get the feeling Harvey is pushing for a huge payday. 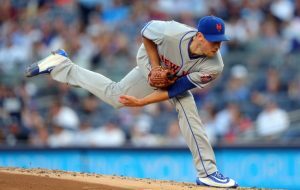 A lot could change in four years but if the Wilpons are still in charge then I have my doubts about Harvey pitching for the Mets in the long term. That would leave him standing at the station when the 69 anniversary train pull into to Citi, but maybe his contribution will be the bat with one year to go on his contract that they trade him for in 18. 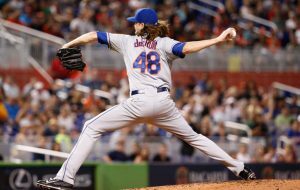 As for Mejia’s arm, if he’s used like he was yesterday his arm will be toast in no time, if it’s not already. Since May 25, 5 appearances, two on the same day, followed by 2 innings with 37 pitches after one day of rest, then after another day resting back to back games, with the second resulting in dismal failure. Absolutely disgusting. The writings proclaiming the words of this person to be the gospel only indicates a total lack of understanding of what science and scientific research is really all about. To act as if one kinesiologist has all the answers in a field of science in its infancy is really ludicrous. It is all interesting, and it is all theory, nothing more, nothing proven. While I won’t go the all the way to entirely agreeing with Izzy, I would point out that “science” (a term that you over-use, Mr. Janish) isn’t synonymous with “truth.” In fact, science spends a significant amount of time revising and dispelling previous theories. Even Einstein got it wrong here and there. In sum, we’re a long way from understanding why arms fail, and It’s reckless to claim that we do know. But it’s also foolish to ignore what scientists – particularly kinesiologists, with which I’m totally on board – are learning about the subject. Crozier, it depends on the people you are including that group you refer to as “we.” If the “we” are people in MLB, then, yes, those people are a long way from understanding why arms fail. If the group is scientists, well, that group seems to have a pretty good idea of why arms fail, and can often predict how and when they do. It’s really not as complex as baseball people want it to be. It comes down to either abiding by, or going against, the way the body moves. 99% of pitchers are allowed to move their bodies inefficiently and dangerously, and further, aren’t allowed to properly recover. I use the term “science” too much? Too bad. I like it. It’s going to be used a heckuva lot more going forward. I might even change the name of the blog to “BaseballScienceToday.com.” I’m tired of watching the arms of young men shred on a daily basis, while all MLB can do is blame youth coaches and count pitches. While everyone else sits idly by, or continues to talk about the same bull-feces topics, I’ll keep beating the drum of science until someone listens and considers applying it. You know what’s ludicrous? That all of baseball mostly ignores science, and picks and chooses certain pieces of it to cover their asses. What’s also ludicrous is all of MLB at a loss of why there are so many arm injuries, and not even considering that what they’re doing at the pro levels might be wrong. By the way, Izzy, are you a scientist? Have you listened to any of the podcasts? I’m guessing not, because there’s absolutely nothing that Angel presents that hasn’t been heavily researched, for decades. But hey, if you want to spit on it, that’s your prerogative. Here’s the choice for baseball to keep pitchers healthy: continue doing exactly what they’re doing and continue to get terrible results, or try something different — something that is research- and evidence-based. What baseball is doing now is complete guesswork and driven by word of mouth from generations of ignorant people who know absolutely nothing about how the human body works. Very good Joe. The NFL did nothing about concussions till they faced a huge lawsuit..The players were expendable fodder to the league for years.. MLB seems to have the same attitude. Collins and Warthen are clueless how to use pitchers. Mejia pitching twice in one day should have had the imbecile we have for a manager locked up. For what it’s worth, Angel Borrelli lost her mind and suggested that Terry Collins be locked up for sending Mejia out to the mound twice in one day. She was apoplectic by that move. But that’s MLB — like you suggested, not so much unlike the NFL is/was with their “meat on the hoof” (great book by former U of Texas lineman Gary Shaw, btw).